The EVOLUTION RX12 ROTARY HARD SURFACE EXTRACTION TOOL includes both a hard boot and brush ring for smooth or rough surfaces. The durable roto-molded handle is spaced average shoulder width apart for a smoother ergonomic cleaning that feels like the tool is floating across the floor. Need a price today? Click this link to receive pricing options. The EVOLUTION RX12 ROTARY HARD SURFACE EXTRACTION TOOL allows you to deep clean tile, stone, and concrete floors faster, easier and better than any other cleaning tool or system. Combined with your truckmount or high performance – high pressure portable extractor, it will deep clean better and dry faster than any automatic or robotic scrubber on the market. 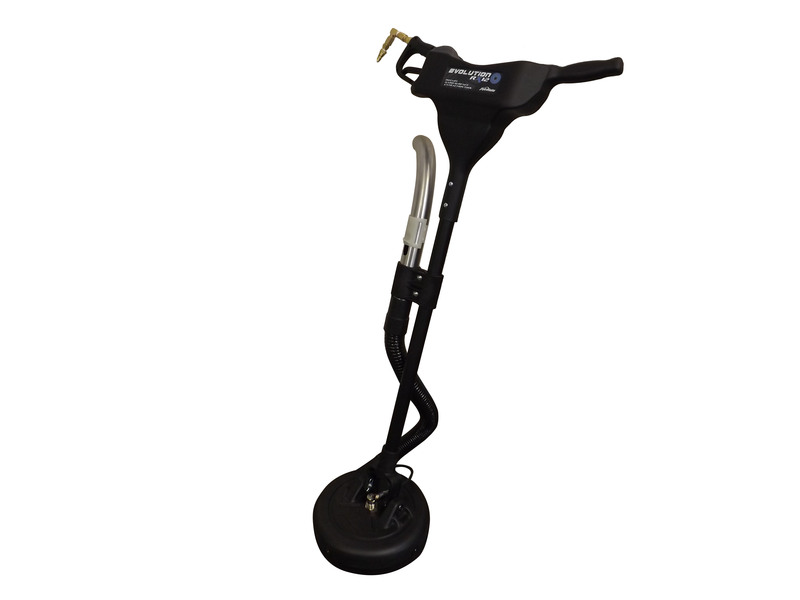 Your ability to clean surfaces at higher solution pressures with rotary jet agitation, along with your capability to quickly recover wastewater and soiling and reduce drying time, make the EVOLUTION RX12 ROTARY HARD SURFACE EXTRACTION TOOL a better and more environmentally responsible way to clean hard surface floors. The durable roto-molded handle is spaced average shoulder width apart for a smoother ergonomic cleaning that feels like the tool is floating across the floor. This design also allows the tool to work effectively for shorter or taller technicians and eliminates some of the flexing issues associated with other hard surface rotary extraction tools. resistant CERAMIC SEAL extends the life of your swivel. 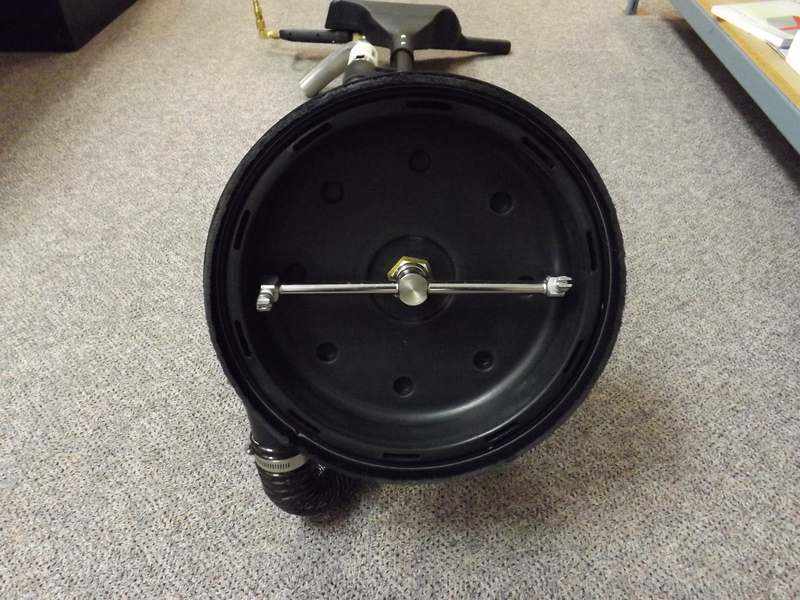 The tool includes both a hard boot and brush ring for smooth or rough surfaces, and a 2” to 1.5” hose cuff adaptor for use with a high pressure portable. 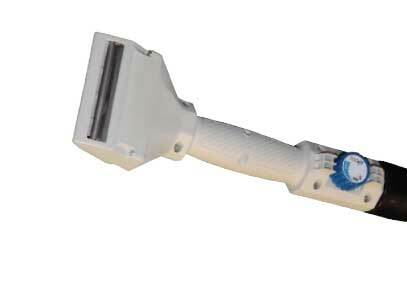 To change from the brush to the boot, simply remove four screws and then re-attach. 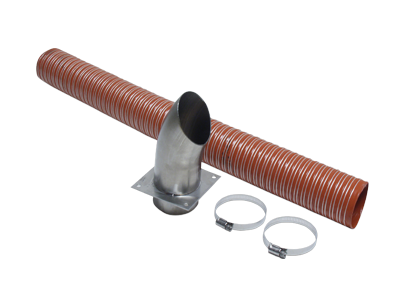 improves airflow, increases extraction performance, and reduces drying time. 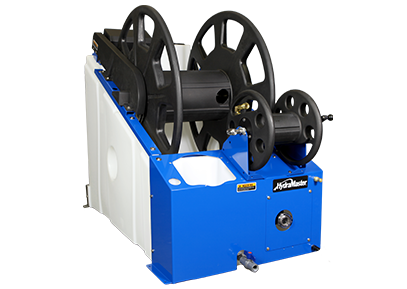 • A rotary washer and extraction tool that is driven by water pressure. It agitates, washes, and rinses the surface and immediately recovers the soil and water at the same time. It works best at solution pressures between 800-1200psi. • Blasts soil, dirt and grime from tile, stone and concrete surfaces and brightens up grout lines. Cleans circles (pardon the pun) over any mop or automatic or robotic scrubber. • The durable roto-molded handle is spaced average shoulder width apart for a smoother ergonomic cleaning that feels like the tool is floating across the floor. In addition, the robust rotomold design eliminates some of the flexing issues associated with other hard surface rotary extraction tools. 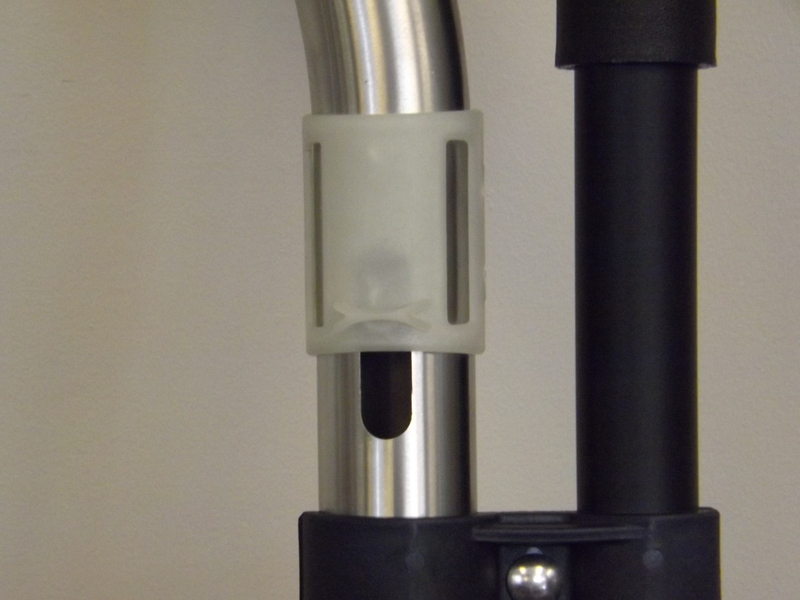 The tool includes an easy access vacuum relief valve on the vacuum hose connection. • Employs the highest quality , proven high speed Mosmatic DXG Swivel triple bearing system that is long lasting and maintenance free. 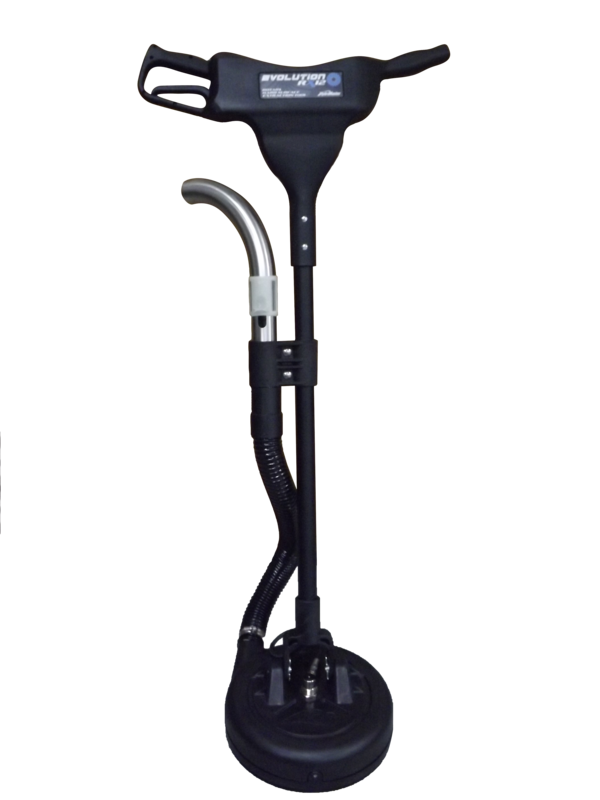 •	Includes both a hard boot and brush ring for smooth or rough flooring surfaces, plus a 2” to 1.5” vacuum hose cuff adaptor for use with a high pressure portable. 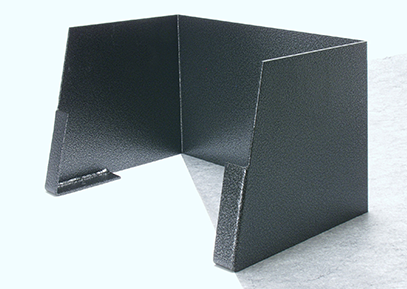 •	All hardware and fasteners are corrosion resistant. • The durable roto-molded handle is spaced average shoulder width apart for a smoother ergonomic cleaning that feels like the tool is floating across the floor. This design also allows the tool to work effectively for shorter or taller technicians. • The easy pull trigger helps reduce repetitive motion strain on muscles and tendons. Best of all the robust roto-mold design eliminates some of the flexing issues associated with other hard surface rotary extraction tools. 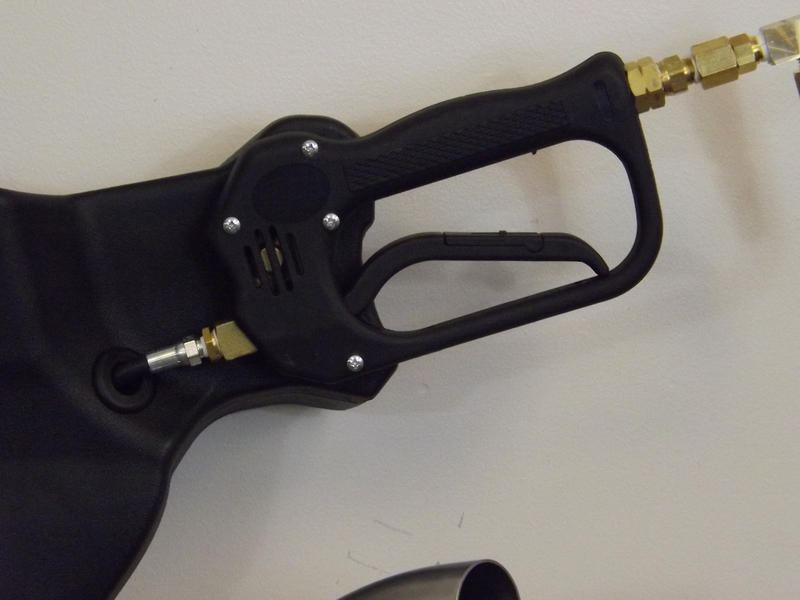 • The tool includes an easy access vacuum relief valve on the vacuum hose connection. • The heart of any rotary extraction tool is the swivel. We used the uppermost quality, proven high speed Mosmatic DXG Swivel triple bearing system that is long lasting and maintenance free. The corrosion resistant CERAMIC SEAL extends the life of your swivel. • The EVOLUTION RX12 ROTARY HARD SURFACE EXTRACTION TOOL includes both a hard boot and brush ring for smooth or rough surfaces. • The attached brush ring is used for most surfaces. The brush bottom prevents trapping particles that could scratch soft floors, especially sensitive stone surfaces. The brush may also be preferred on very flat floors when the plastic body forms a tight seal making the tool harder to move. • The hard boot is typically used on harder surfaces. The plastic boot that contacts the floor assures good vacuum and a dry finish for most flat tile floors. To change from the attached brush to the hard boot, simply remove the four screws, dismount the ring or brush, insert the ring or brush, and tighten the four screws.